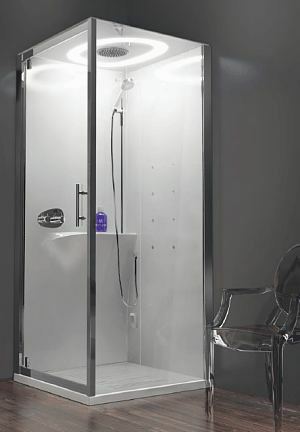 Designed by Marco Pellici, the EON complete shower cubicle incorporates Italian inspiration and beauty whilst offering a truly functional silicone free and leak proof shower enclosure. 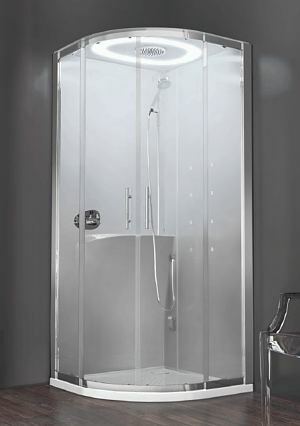 Available in a range of popular sizes, the EON shower enclosure can be purchased as a standard model (with or without a roof panel) complete with thermostatic shower equipment, as a 'hydromassage' model (with or without roof panel incorporating rain head), thermostatic shower equipment with body jets, or the top of range model - the HAMMAM - which incorporates thermostatic shower equipment and all options (roof panel, rain head, body jets) plus a steam generator. The HAMMAM model is feature packed, so please take a look below to obtain full details. Roof panels incorporate LED lighting. 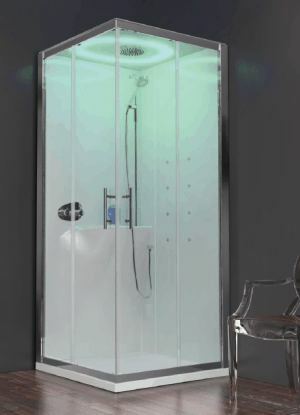 The HAMMAM model takes this to an even higher level with colour adjustable LED 'Cromo' lighting. 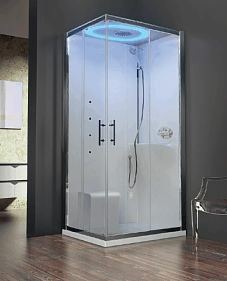 All Novellini EON shower cubicles are available left or right handed. Please order accordingly.